These are out of print and command a premium everywhere else. Can't believe Walmart is still able to get them somehow. My last one had terrible pulls but that can happen and considering I didn't pay over retail I'm OK with that. Overall I've had really good pulls from these boxes and unlike normal elite trainer boxes these come with 10 packs. Tbook.com crawls the web to find the best prices and availability on Pokemon and related Toys products like Pokemon 20th Anniversary Elite Trainer Box. For this page, related items include products we find that match the following keywords: "Pokemon" at our vendor partner Walmart. 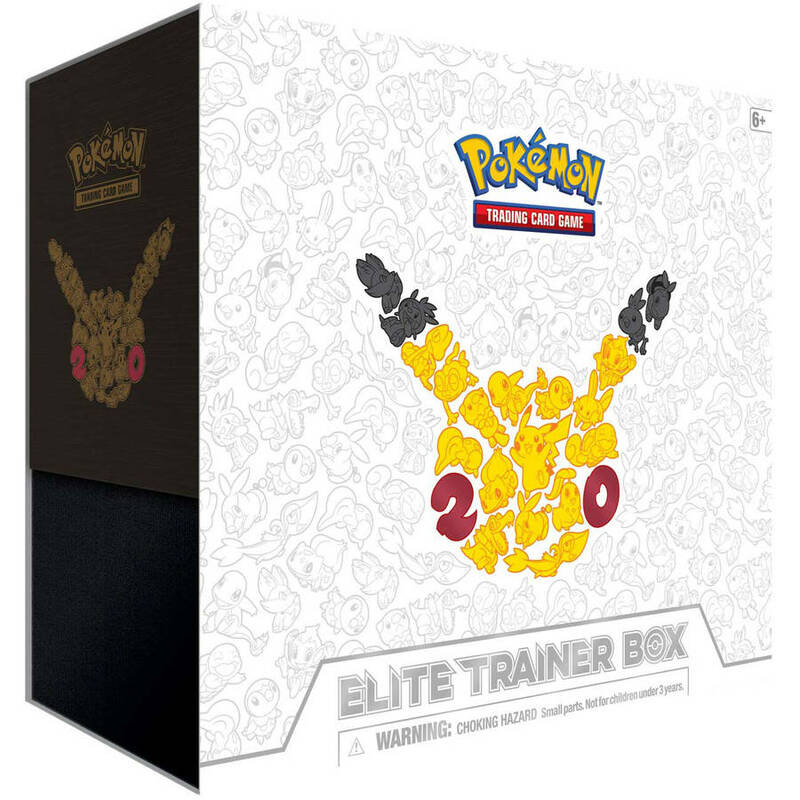 Pokemon 20th Anniversary Elite Trainer Box is one of 112 Pokemon and related products listed in the Toys section of Tbook.com If you have any questions on this product, please give us a call at 734-971-1210 during the hours of 9am - 5pm EST for assistance. Thank you for shopping at Tbook.com, the Internet Department Store!